Through customer demand we have developed our new Contact Angle Tool. This contact angle goniometer compliments our gas plasma cleaning solutions technology. Immediately following plasma treatment users of the Contact Angle Tool can quickly and economically measure substrate surface conditions and efficiently characterize their plasma process. 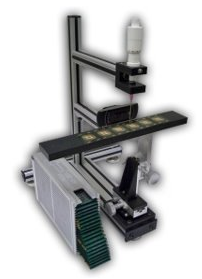 The Contact Angle Tool's integrated HD camera system offers accurate and repeatable contact angle measurement. Sample images and contact angle profile information can be automatically saved to file for quality control. Custom stages are available on request.